2.5" light pink with deep rose halo. 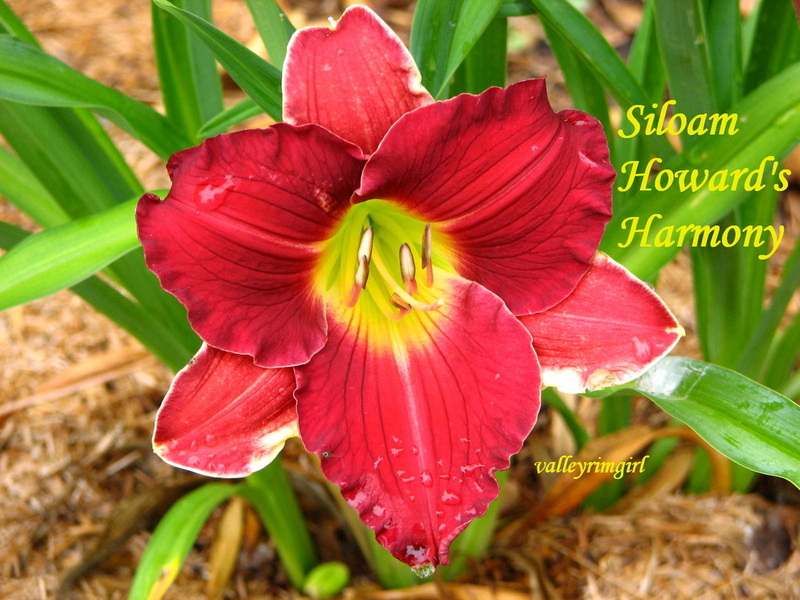 Love the perfect flowers on this Siloam daylily! 3.25" fragrant light rose with a deeper red eyezone and a pale chartreuse throat. Lighter rose pink ruffles edge the petals, and deeper rose veins run the length of the petals and sepals. Awards: Junior Citation 1980, Honorable Mention 1983. 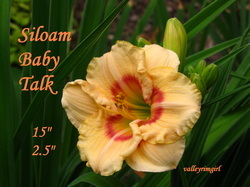 This daylily is one of my favorite Siloam daylilies!!!! 3.12" lightly-scented lightly-ruffled shell pink with red eyezone and green throat. 5.5" rosy dubonnet blend with green throat. Awards: Junior Citation 1989, Honorable Mention 1994. 3.75" deep red with deeper red eyezone and green throat.